Life is full of pilgrimages, whether a physical journey to a sacred place or a metaphorical journey. Deborah Schaben and Sandy Garayzar are veterans of both kinds of pilgrimages and want to take you along on their journeys to find sacred places, both near and far, ordinary and extraordinary. 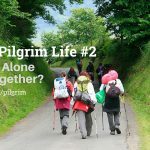 Pilgrim Life starts with the Camino de Santiago Compestela in Spain but branches out in many different directions with the idea that Life is a pilgrimage. 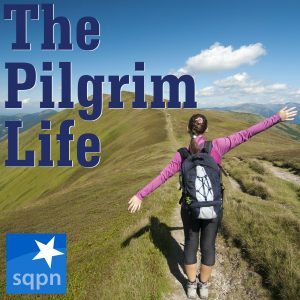 Whether it’s the California mission churches or the Easter pilgrimage to Chimayo, New Mexico, or the shrine in your own backyard, Deborah and Sandy will discuss what it means to have a pilgrim mindset and help us to find the journey that helps us live the pilgrim life. 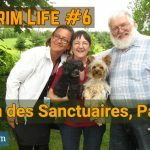 PIL006: Chemin des Sanctuaires, Part Two- In our 2nd part of our series on Chemin de Sanctuaires, Deborah Schaben and Sandy Garyzar talk about a special gift Sandy received while on pilgrimage. They also talk about a special sanctuary dedicated to Our Lady of the Cape. 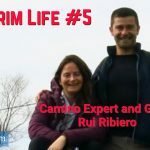 PIL005: Camino Expert and Guide Rui Ribeiro- Join Sandy Garazar and Deborah Schaben as they talk to group travel guide and Camino expert, Rui Ribeiro from Ultreia Y Suseia. He talks about what it's like to guide a group on the Camino and whether choosing a group experience is different than a solo trip. 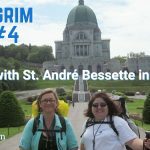 PIL004: Walking with St. Andre Bessette in Montreal- After getting a special call to learn more about St. Andre Bessette of Montreal, Deborah Schaben and Sandy Garayzar undertook Le Chemin des Sanctuaires Montréal pilgrimage between the Oratory of St. Joseph and St. Anne de Beaupre. Come with them to find out more about this special saint and his pilgrimage. 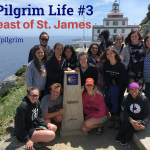 PIL003: The Feast of St. James- Deborah Schaben and Sandy Garayzar celebrate the Feast of St. James by recalling all the great aspects of the Saint for whom the Camino Santiago de Compestela is named and how his feast--and other Spanish saints' feasts--are celebrated. PIL002: Walk Alone or Walk Together?- Which is better? To walk a pilgrimage alone, with a couple of friends, or in a large group? Deborah Schaben and Sandy Garayzar tackle that question as they discuss Deborah's recent Camino de Santiago with a group of college students she led.